Um, it's carnival time. Although it may be a bit quieter than usual. On why McD and KFC probably won't be donating to Cancer Research. Sad story, sad lady, sad pets: 36 cats and dogs are found in distress in a flat after their owner dies. Boris seems to heart the proposed Columbus Tower. A new scheme has been launched to help Muslim veil wearers who feel intimidated. 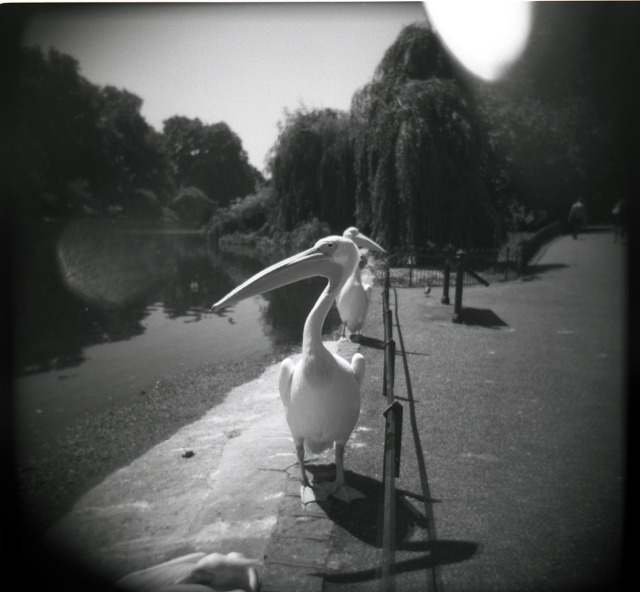 The pelican congo, by dusty sevens via the Londonist pool.